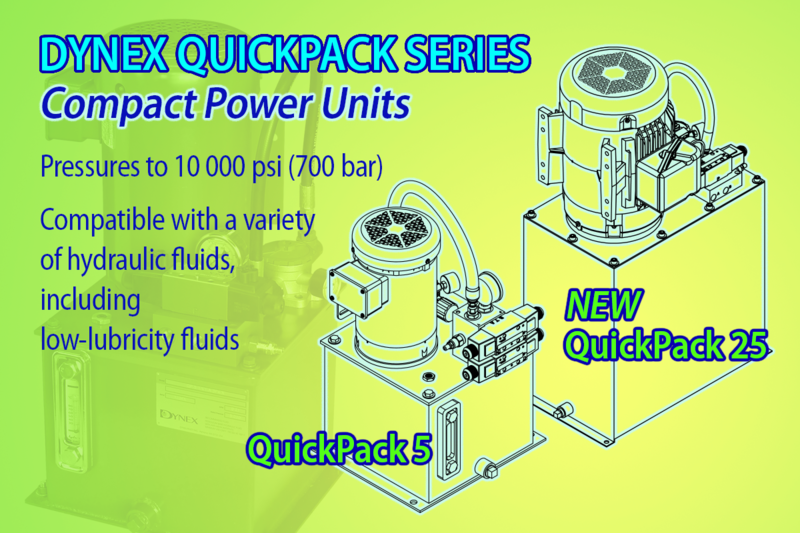 Our line of compact hydraulic power packs that are typically available to ship in 3 to 4 days now includes a 25-gallon (94,6 liters) reservoir model. These popular units can now provide flows from 0.21 to 5.9 gpm (0,79 to 22,3 L/min) at 1800 rpm, and operate at pressures to 10 000 psi (700 bar). Click here for more information or contact us to see if a QuickPack is right for you! Dynex produces a new video on the use of coned & threaded fittings for high pressure applications.